While the first Nautilo saw the light of day in 2006, the modern reinterpretation of these famous dive watches, originally designed by naval engineer Dino Zei, keeps its principal identifying signs with its cushion case and crown and 4 o'clock. Diving into the depths of a new blue "navy", a breeze of modernity is blowing over the 2017 edition with the appearance of many aesthetic and technical details, such as a ceramic bezel. 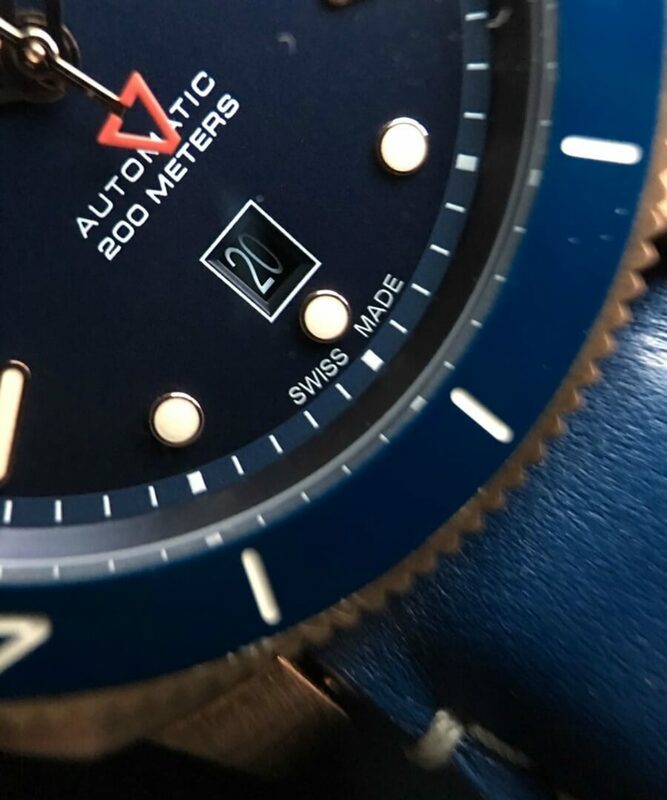 With just a smooth twist, a new bezel provides this version of the Nautilo with a blue ceramic insert that protects it against scratches and adds depth and brilliance to the overall aesthetics. At 12 o'clock, a luminescent dot signals the first fifteen minutes of the celebrated "bottom time diving" while the rest of the indicators are in index form. A redesigned dial can be clearly seen through the slightly convex sapphire crystal that has been treated with an anti-reflective coating. 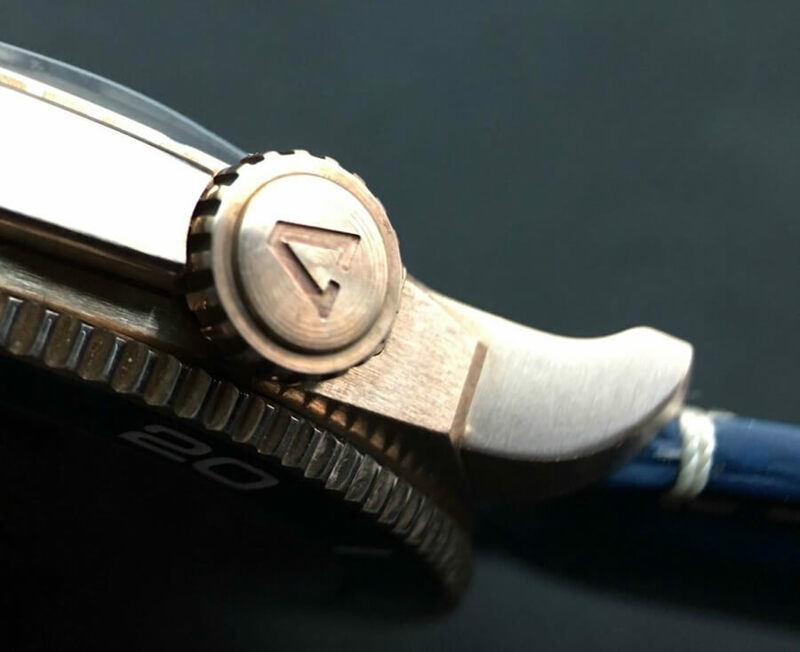 Echoing the numbers 20 and 40 engraved onto the bezel, only 04:00, 08:00 and 12:00 have double indexes, thereby invoking the traditional reading of the brand's triangle. Day or night, on land or at sea, and even with the counterweight on the second hand taking the form of the logo, the capital A of Anonimo is ever-present. 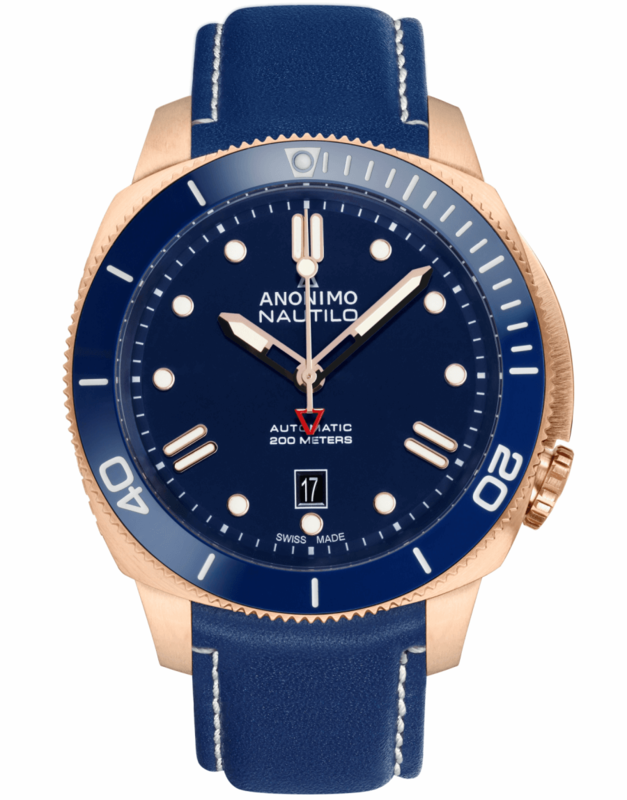 Blue is a colour that Anonimo often uses, but this is a new shade specially created in 2017, and goes with the traditional cushion case in bronze. Bronze, the time-honoured material used by Anonimo, shows off a new hue this year with a delightful pinkish tint to it. A slow and progressive oxidisation process working on this alloy gives the watches a natural, and inimitable, patina over time - rendering the case both unique and classical. In addition to its resistance to wear and corrosion, bronze lives and evolves with the wearer and will eventually create a Verdigris shine on its surface after extended contact with salt water. This "diver" is equipped with the long-established Sellita SW200-1 automatic movement, which is kept truly dry because the watch is water-resistant down to 200 metres. With its 44.4 mm case, it impresses with its go-anywhere look while all the markers are in Swiss Super-LumiNova. And with the date at 06:00, a perfect legibility is ensured. 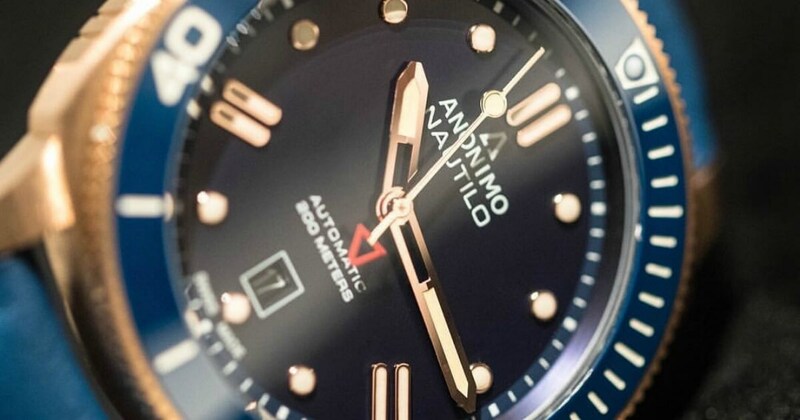 The price for Anonimo Nautilo full Bronze & Blue is 2,790 CHF.